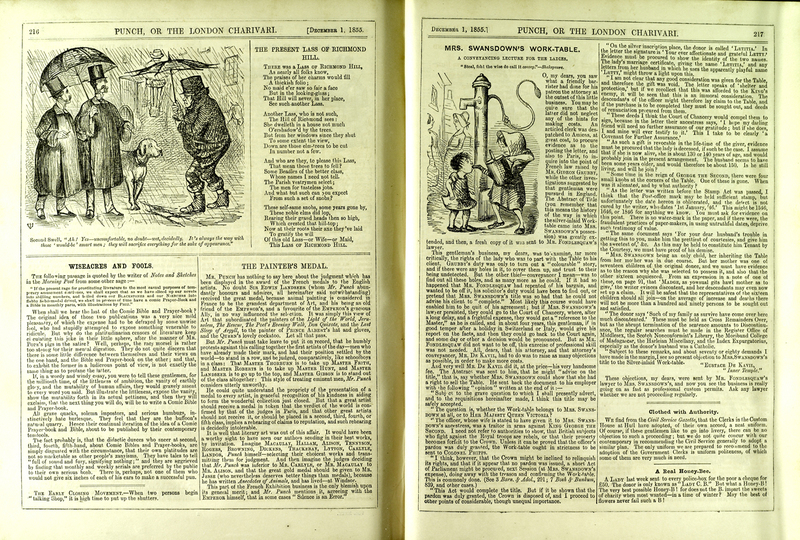 Punch was first published in 1841, when it served as a British weekly humor magazine named for “Punch” of Punch and Judy fame. It was published for 150 years, its tumultuous run finally coming to an end in 1992. 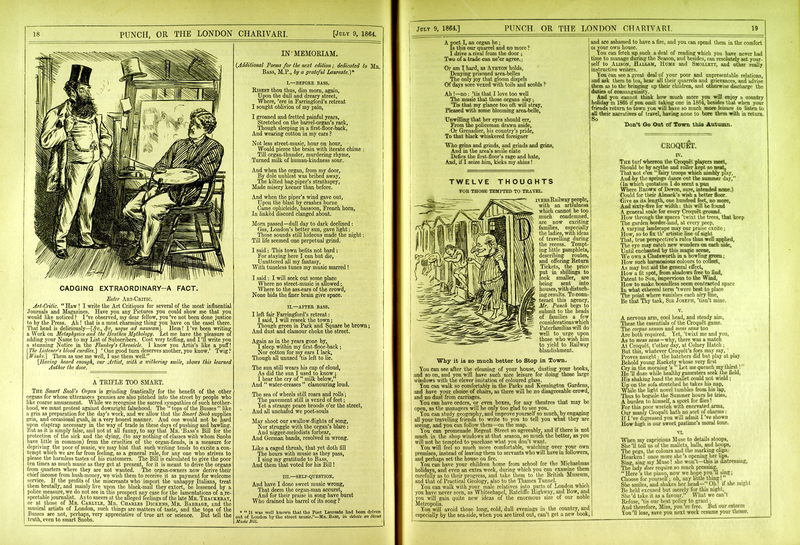 Dickens had been a frequent contributor during the 1840s and 1850s. Brooks. "Our Mutual Friend." 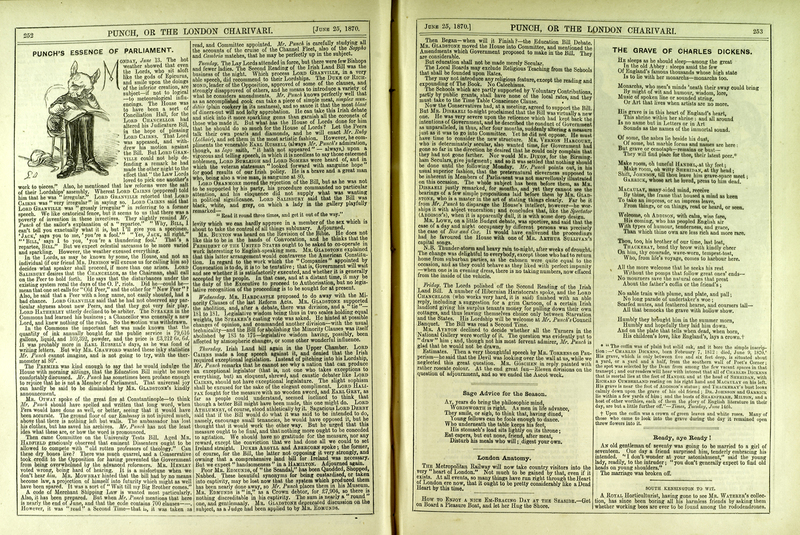 Punch Volume 47. (1864): 18. "The Grave Of Charles Dickens." 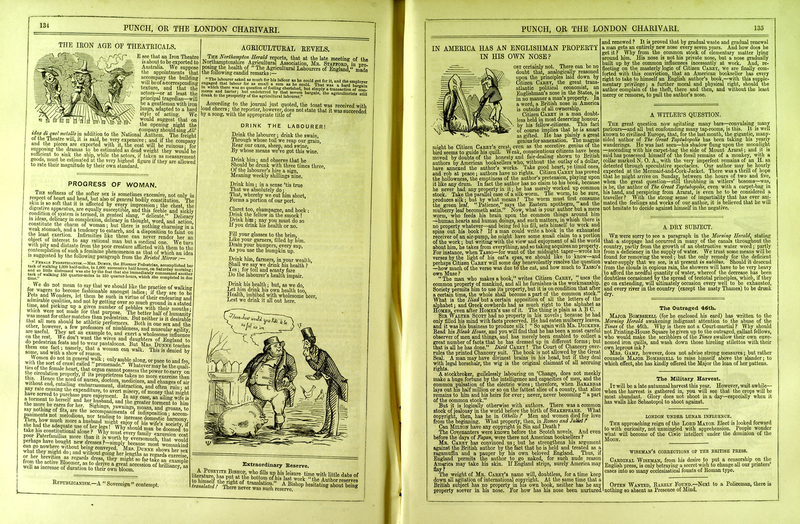 Punch Volume 58. (1870): 253. "In America Has An Englishman Property In His Own Nose?" Punch Volume 27. (1854): 135. "The Painter's Model." 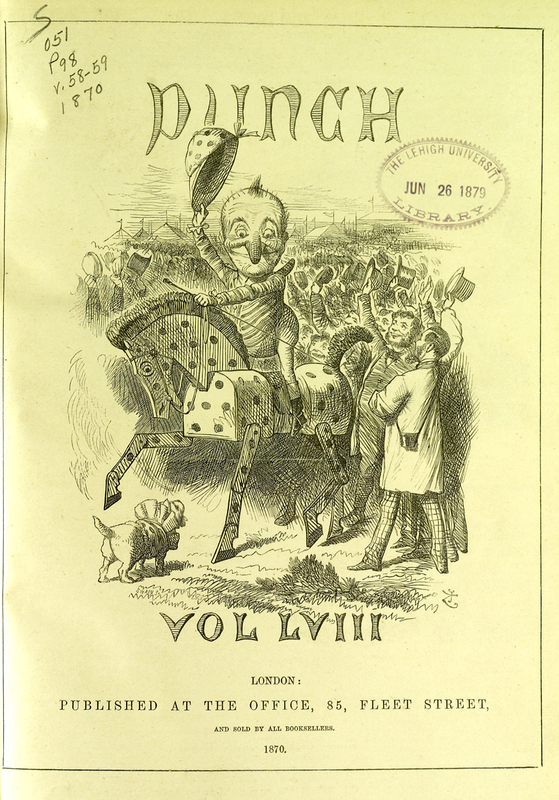 Punch Volume 29. (1855): 216.